Staxton dominated their home clash with rock-bottom Mulgrave from start to finish to re-affirm their position at the top of the Premier Division table. Mulgrave's batsmen couldn't handle the bowling of Nick Ringrose (5-29) and Kingsley Gray (3-18) as they were skittled all out for just 96, despite the best efforts of Andy Thompson (39) and Andrew Spenceley (25). Staxton's openers showed no mercy in their reply, Jodie Robson finishing unbeaten on 55 and Dave Morris stood firm on 35 not out alongside him as they moved swiftly to 97-0, taking the full 20 points on offer to boost their title bid. Previous leaders Seamer suffered an eight-wicket defeat against champions Staithes. All-rounder Simon Bowes (3-38) and Chris Morrison (3-48) were in form with the ball as Seamer were all out for 173 despite 43 from Dave Graham, Gregg Chadwick's 36 and Josh Broadhead's 31. 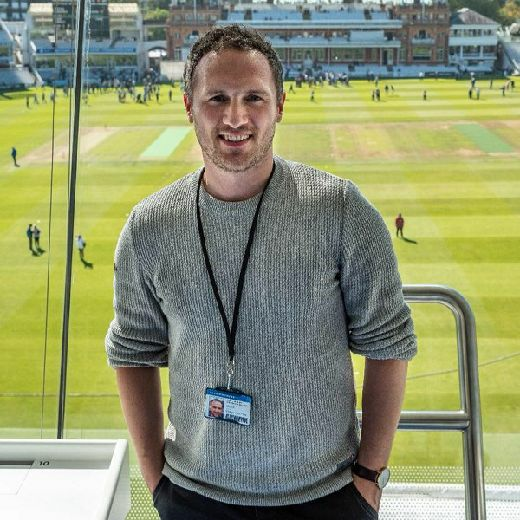 Bowes showed his all-round class as he smashed an unbeaten 80 in Staithes' reply, boosted by 57 not out from Richard Hegarty and 29 from Morrison as the champions made it safely to 174-2. Ebberston stay rooted in the relegation places after they were bowled out for just 66 at Filey. Jordan Powell (39) and Josh Dawson (31) helped Filey to post 149 all out, Reece Milner taking 3-22 for Ebberston. It proved to be more than enough for Filey as Ben Cuthbertson (4-31) and Dawson (3-21) teamed up to bowl Ebberston out for just 66. Another side who failed miserably with the bat were Cayton, who were all out for just 73 in their 158-run hammering at Nawton Grange. Grange skipper Jonny Pickard (66), Nick Thornicroft (36), Tom Garbutt (34) and James Greenlay (33) helped Grange post an imposing 231-6. Nathan Marwood then took centre-stage as his stunning figures of 5-6 helped bowl Cayton out for just 73, Thornicroft also taking 3-45. Scalby boosted their chances of beating the drop with a six-wicket home win against third-bottom Flixton 2nds. Flixton set a total of 203-5, mainly down to the efforts of opener Rob Lacey (93) while he was supported by Geoff Hill (38) and Stephen Hill (33). The hosts had no problems in knocking off that total though, as openers James Ledden (63) and Joe Hills (31) laid the platform for stand-in skipper Bradley Walker to polish off the win with an unbeaten 53. Heslerton edged out Forge Valley in a low-scoring affair. Naser Khan starred with the ball, taking 5-22 as Heslerton were all out for 137, Rob Middlewood hitting 25. Andy Slaughter (4-29) and Adam Spaven (3-17) then teamed up to dismiss Valley for just 89, Mick Glew hitting 36 of their total. Cloughton's bid to return to the top flight gathered pace with a four-wicket win at Wykeham in Division One. Wykeham posted 143, James Bryant (41) and Ezra Pashby (33) their run scorers, while Stuart Harris (2-12) and wily veteran Pete Milner (3-19) doing the damage with the ball. Jack Hakings smashed 50 in Cloughton's reply as they made it to 145-6, Ian Spence taking 3-22. Jamie Thomson was the all-round star as Sherburn beat Settrington to stay just behind Cloughton in second spot. Thomson starred with the cherry as Settrington took first knock, taking 5-45 as the away side posted 185-8, Eddie Rounthwaite (55), George Rounthwaite (40) and Adam Morley (39) scoring their runs. Phil Pickard (65), Craig Sanderson (51) and Thomson (41 not out) then helped Sherburn to 188-5. Staxton 2nds lost ground on the top two as they suffered a five-wicket defeat at Thornton Dale. Jack Pinder hit 46 and knocks of 41 from Andy Dove and 39 from Matthew Pearson helped Staxton post 177-7, Andy Hill taking 2-22. It wasn't enough as Tim Hunt hit an unbeaten 54 and Gareth Hunt (28), Hill (27) and Matthew Todd (27) helped Dale to 178-5. Brompton hammered Wold Newton by 128 runs. Tom Pateman (67) and Karl Theobald (55) helped Brompton post 213-6, before Neil Fletcher (3-4) and Pete Webster (3-27) got to work with the ball to dismiss Newton for just 85. Brian Heywood enjoyed a day to remember in Cayton 2nds' 48-run win against Grindale. Heywood smashed 82 as Cayton posted 167-5, Ian Dennis also adding 28. The star man then took 5-18 alongside Simon Stubbs (5-40) as Grindale were all out for 119, Jamie Watson hitting 47. 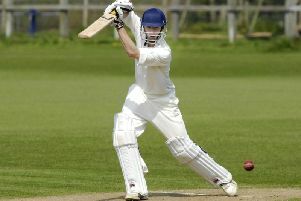 Debutant Liam Cousins was the star man for Ganton as they beat Scalby 2nds by 83 runs in Division Two. Cousins hit 58 not out alongside Robbie Milner (53) as Ganton posted 178-5. Despite 34 from stand-in skipper James Wainwright, Scalby couldn't contend with Cousins' 4-18 as they were all out for 95 in reply. Jish Rewcroft was the star man with bat and ball in Ravenscar's 59-run victory against struggling Scarborough 3rds. Rewcroft's 66 helped Ravenscar to 181-7, Brad Milburn taking 5-36 for Scarborough. Scarborough were then 122 all out in reply, Damian Foster hitting 42 of their runs as Rewcroft took 3-14 and Jon Murrell 5-21. Bridlington 2nds were able to close the gap to leaders Sewerby 2nds as they beat Forge Valley 2nds and the leaders lost at home to Ebberston 2nds. Carl Parkin's 4-21 and Peter Bowtell's 3-7 helped Brid bowl Valley out for just 102, Phil Pickard hitting 27. Oliver Beckett's 47 along with 24 not out from Andy Leeson helped Brid to 103-5 despite Tyler Beck taking 4-22. Leaders Sewerby fell nine runs short of their target as they lost to Ebberston 2nds. Skipper Joe Tyson maintained his fine form with the bat by hitting 64 alongside Paul Lockey in Ebbertson's 190 all out, Sam Wragg taking 5-16. Sewerby looked to be heading for victory as Alastair Sharp hit 47, Jake Hatton added 43 and Wragg contributed 31, but Jason Oakley's 3-57 helped peg them back to 181 all out. In a thrilling encounter, Great Habton edged to a one-wicket win against Fylingdales. Dales posted 137 all out, Duncan Steele top-scoring with 27 as the bowling of Tom Richardson (4-17) and Will Curtis (3-20) was too hot to handle. A superb spell of 5-27 from Chris Shrimpton gave Dales hope of victory, but 56 from John Lumley and 43 not out from George Lumley helped Habton edge to the victory with two overs and one wicket to spare.